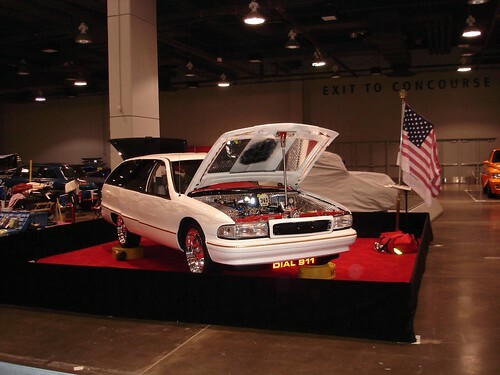 Have you ever been to an ISCA (International Show Car Association) show? If not put it on your list to do. I showed a few times many years ago and got a great appreciation for the people who really get into it. Tony Allers (owns the Smokey Yunick Fiero from a prior Blog) has a Championship Car that he built in his home garage! 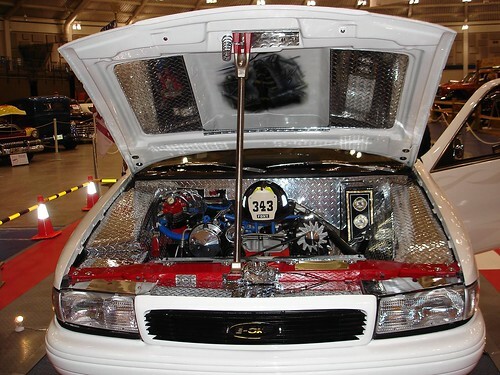 This is what one multi-award winning ISCA Show Car started as! 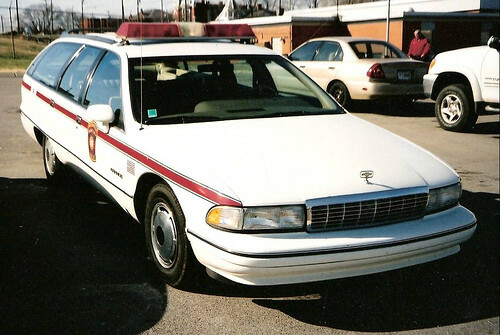 The vehicle was originally a Nashville Fire Department station wagon which was purchased in June 1999 by Tony and Diane Allers. The car had a Fire Department history and they always knew it would have a subtle fire theme. 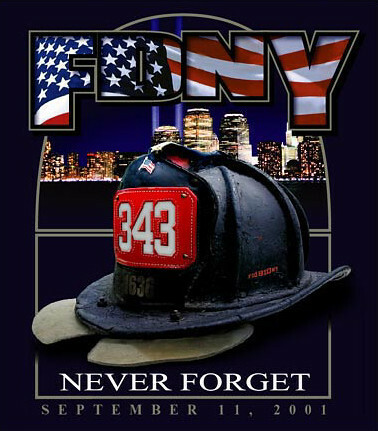 After 9-11-01, the direction became very clear.They wanted to make the car tasteful, classy, respectful and unique. Fabricating almost everything themselves. EVERY part of the car has been changed, modified, or re-fabricated. You can see more about this car on our FEATURE CAR page. Here are a few photos to wet your appetite. Station wagon roof rack, rear wiper arm, and all top pieces have been shaved, filled or removed. Front grille was relocated from the hood to between the headlights. E-One logo, the company that builds fire trucks is mounted in the center of the grille. Wagon sits on a set of 20 inch One Off Billet Specialties wheels. 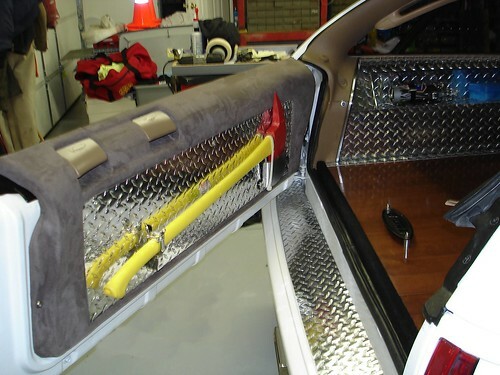 A Flowmaster exhaust stays in line with the center dash and console and exits via a Camaro tip directly below the center of the rear bumper. There are many more modifications, Click Here for the entire list. HOW DID THIS CAR DO ON THE SHOW CIRCUIT? CHECK OUT THESE STATS! Super Chevy Shows in: Memphis, TN 2003, 2004, 2005, 2006, 2007; Gainesville, FL, 2003; Montgomery, AL, 2004; BEST MODIFIED 91-96 BIG CAR! National Corvette Homecoming 2005; Best BIG CAR and Best Modified BIG CAR! ISCA 2006: Chattanoga, TN; Shreveport, LA; Birmingham, AL; Louisville, KY; Atlanta, GA; Cleveloand, OH; Southbend, IN; CUSTOM WAGON FIRST PLACE! ISCA 2006 AWARDS: CUSTOM WAGON-EAST DIVISION CHAMPION AND INTERNATIONAL CLASS CHAMPION! 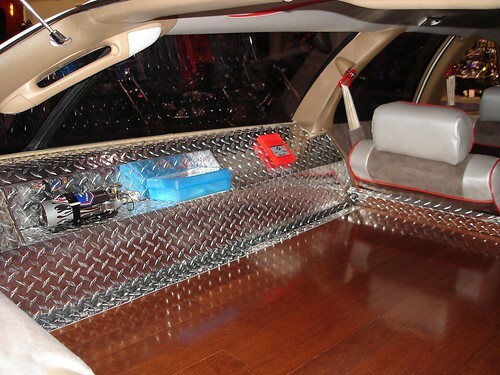 ISCA 2007: Cincinnatti, OH; Chattanoga, TN; Birmingham, AL; Louisville, KY; Southbend, IN; Custom Wagon, First Place! 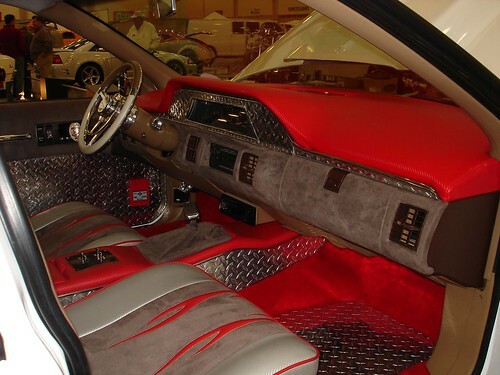 Hunter’s Car Show, Nashville, TN 2007: Best Modified 91-96 Big Car! 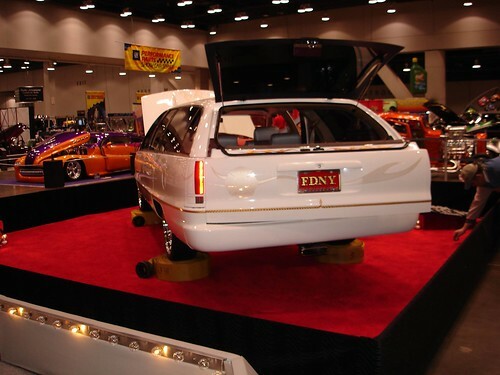 ISCA AWARDS 2007: Custom Wagon-Regional Class Winner and Custom Wagon-International Winner! TO SEE MORE ON THIS CAR CLICK HERE! Smokey Yunick’s Hot Vapor Fiero; 51 mpg and 0-60 in less than 6 Seconds!